Alex Ovechkin scored twice to pass Bobby Hull on the all-time goal list and Evgeni Kuznetsov had four points as the Washington Capitals beat the Vegas Golden Knights 5-2 in a Stanley Cup rematch. 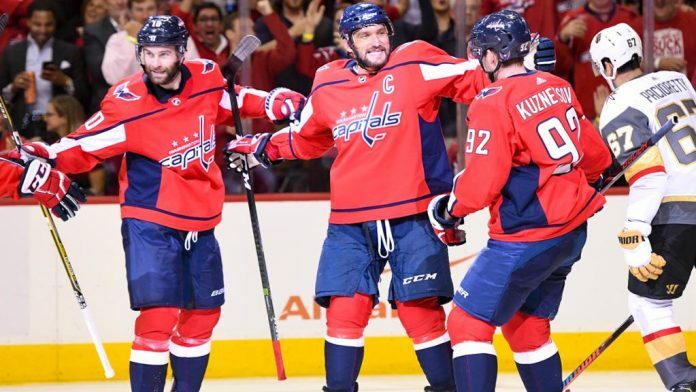 Ovechkin scored his 610th and 611th goals on Wednesday to surpass the Hall of Famer and former Chicago Blackhawk great Hull for 17th place on the list as the Capitals showed they are determined to avoid a Stanley Cup hangover. The Capitals defeated Las Vegas in five games in June to win their first NHL championship and halt the expansion Knights’ Cinderella season.